Check in and spend the rest of the day at leisure. Spend the day at leisure or join the optional “Best of Zurich” City tour. After breakfast spend the day on your own or join an optional to Mt. Titlis. At the top of Mt. Titlis you will have a chance to experience a high alpine panorama. After breakfast find your own way to the train station or let us pick you up. Relax while the train takes you to Interlaken. Upon arrival to Interlaken find your own way to the hotel. After breakfast today you have two options, you can either spend the day in Interlaken or you can go on an optional excursion. Early evening transfer back to Interlaken. Make your own way to the train station. Enjoy great vistas as your train takes you to Geneva. Upon arrival meet your car for transfer to the hotel. - Airport / Train Station Return Transfers in Zurich. 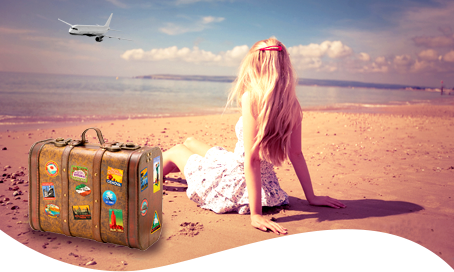 - Airport / Train Station Return Transfers in Geneva. -- Best of Zurich, Half day SIC. -- AMt Titlis from Lucerne SIC. -- Return train ticket Interlaken-Jungfraujoch. - Any time of the year.